"Enjoy it! No matter what, just sit back, enjoy it and be a kid!" Precocious though he is, this year I'm trying a few antics and pulling out the stops to make the holiday season magical. Maybe it's not really pulling out all of the stops...maybe it's just trying. Either way, we're doing it up this year! To make matters a little more stressful and to make me a little more harried, we also have a one year old to celebrate during the holiday season. So without going out and buying an Elf for my already cluttered shelf, how will I pull this off? Christmas is in my heart. Yes, I make sure to put the true meaning of Christmas into our lives during this time of year. But I love it all. The carols and the hymns. I love the lights. I even love the snow more than any Norse girl should be allowed. We cut a real tree. We watch Christmas movies and we have an advent calendar. We have 25 days of Christmas books. So what can top all of the already festive fun for our family? I found out about Portable North Pole and I'm so stoked! 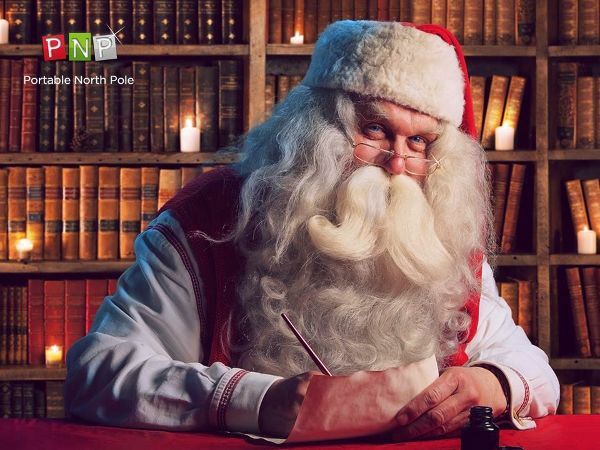 Santa only needs a few "inputs" of information from you to make a video message that is tailor made for your child. I have the GoPro ready and I'm so excited to get our first video for my older son. I know this will keep him curious, ignite his little heart with glee and magic and all the sparkly, twinkling fun that comes with being an innocent during the holiday season. I will of course update you all about how this venture goes for us as well. We'll be penning our letter to Santa tomorrow and mailing it in, so that when we get our video, the stage will have been set perfectly! Are you looking to bring some magic back to the holiday season? Do you have slightly older kids that need to be shocked back into that age of wonder and excitement? 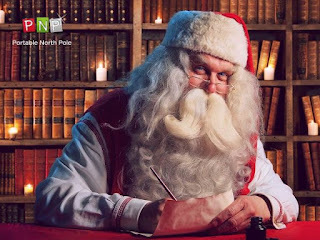 Portable North Pole could be just what you're looking for!